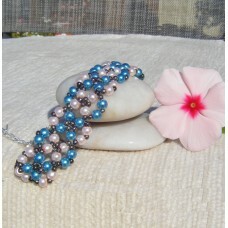 Pretty pink and blue pearlescent 4mm beads continually cross over interspersed by black hematite seed beads. This glistens and shimmers on the wrist and is the perfect addition to your favourite outfit. 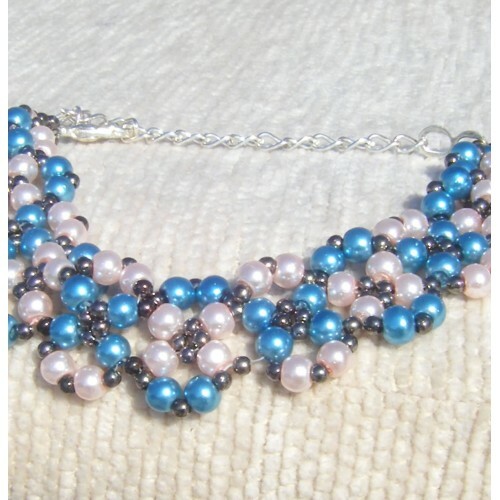 Suitable for day and evening wear. Makes a great gift or the perfect little bracelet to wear everyday! Absolutely stunning on! I added an extender chain so it can fit all wrist sizes.